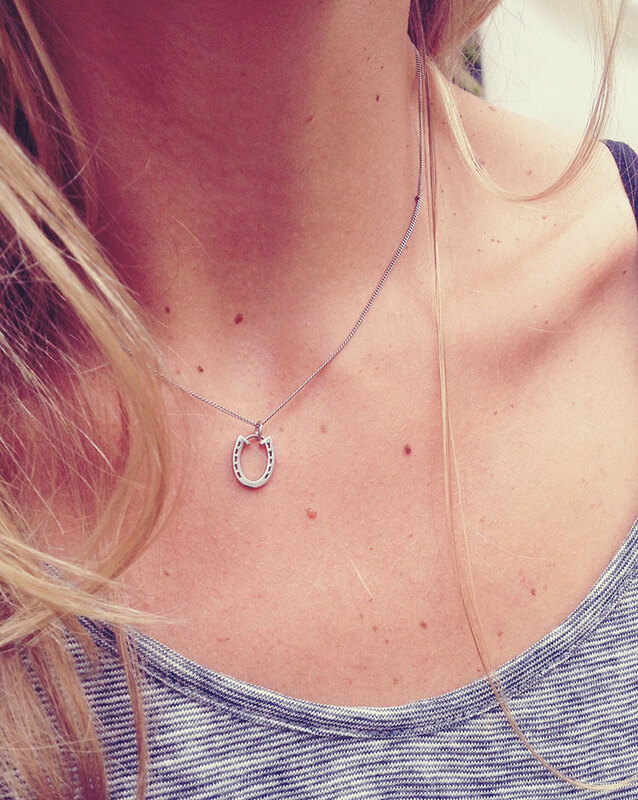 Horseshoe Necklace, invite Lady Luck into your life with one of my favourite shapes – goes with everything. What is the meaning of horseshoe symbol? The horseshoe is a very auspicious symbol, used to protect against any form of evil and instead bring good luck. Associated with such beliefs, hanging a horseshoe in the home averted evil spirits, hanging with the two ends hanging up, forming a u-shape to catch the spirit. Standard practice from these early times has been to attach a horseshoe over the entrance to a home. Why is the horseshoe lucky? The makeup of the horseshoe has strong associations with luck and strength. Most of the first horseshoes were made of iron, an enduring metal but also thought to have mystical powers. With its magnetic capabilities and running abundantly through human bodies. In ancient times, iron was thought to be sacred and holy. 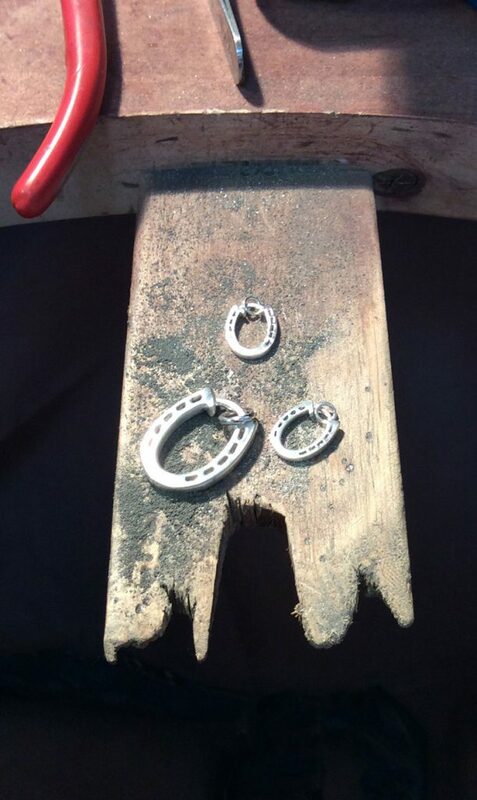 Horseshoes traditionally take seven nails to attach to a horses’ hoof. The number seven also holds great symbolic value due to its’ association to the seven stages of life, seven colours of a rainbow and the moon changing phase every seven days. Horseshoes were also considered lucky because they were made by blacksmiths, which is also considered a very lucky trade. As blacksmiths worked with fire and the magical iron, they were thought to have special powers. It was even believed that a blacksmith could heal the sick. Legends have it that witches were said to be so afraid of the iron-made horseshoes that they took flight on broomsticks instead of galloping away on horses for transportation. Horseshoes were even believed to keep fairy-folk at bay. With a long history of being a protective symbol, the horseshoe symbol has even been seen in Egyptian iconography. The value of horseshoes and luck varies in cultures across the world. It’s considered extraordinarily lucky if you found an old horseshoe. Horseshoe Necklace, one of the most well-known good luck symbols, a great sentiment to wear and give to your friends, sisters, and god-daughters. For someone needing that little bit extra luck.